We used our "beaks" to catch some "caterpillars hiding in the grass". 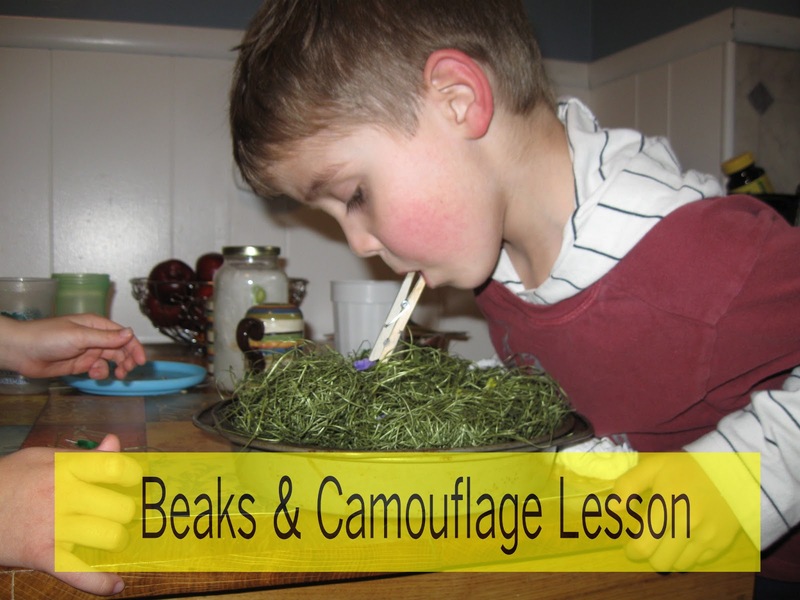 You can do this activity while studying Birds or camouflage. If you are focusing on different butterflies and caterpillars then use the book A Butterfly Is Patient. because it's entire inside cover is covered in illustration of different colored caterpillars. If discussing birds the use the book Beaks! Look through some books on caterpillars and see their different colors. Or look through some bird books and read how birds use beaks. After teacher "hides" caterpillars in grass, each kids takes turns catching the caterpillars.